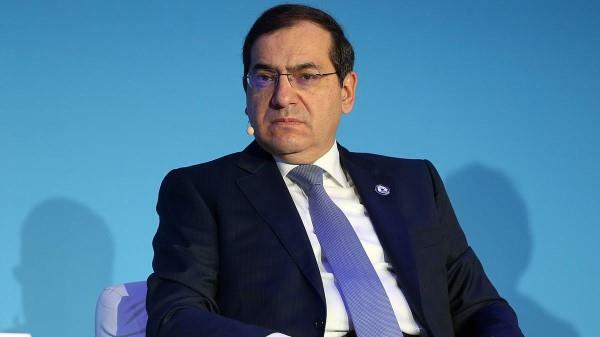 (MENAFN - Daily News Egypt) Egypt's Ministry of Petroleum aims to increase the amount of gas exported of Idku gas liquefaction plant to 1.13bn cubic feet of gas per day (scf/day) by June, up from the current 800m scf/day, the Minister of Petroleum, Tarek El-Molla, told Daily News Egypt on Saturday. The plant, operated by Royal Dutch Shell, is to operate at full capacity, following the linkage of gas production from Eastern Mediterranean fields, and achieve self-sufficiency, according to El-Molla. Ownership of the Idku plant is divided among Egyptian General Petroleum Corporation (EGPC) with 12%, Egyptian Natural Gas Holding Company (EGAS) with 12%, Shell with 35.5%, Petronas with 35.5%, and Gaz de France with 5% stake. El-Molla explained that Egypt is on the right track toward becoming a regional gas hub, exporting the surplus of natural gas production, giving a priority to electricity consumption, followed by factories, houses, and cars, respectively. In case of a surplus, the amount will be exported to international markets through the Idku plant and the Jordan gas pipeline. The contractual rate of Idku plant is 1.13bn scf/day. These rates have decreased since 2011 until it was finally stopped at the beginning of 2015. The minister explained that the Idku plant needs to export 22 LNG shipments to achieve balance between its revenues and expenses. Furthermore, El-Molla clarified that the linking of Zohr, North Alexandria, and Borollos gas fields, is progressing within the planned time frame, in addition to the gas imports from Cyprus and Israel, which will help to operate the gas liquefication plants at their contractual rate. Egypt's natural gas output rose to 6.8bn scf/day in 2019, compared to 6.2bn scf/day in 2018.